Left two photos by Richard Dallett. Right two photos by Ben Fink from The Barbecue! Bible (Workman). 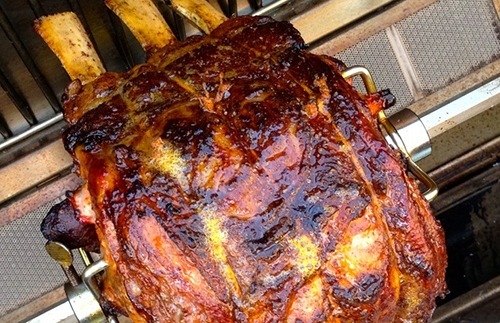 The headline says it all: the 12 all time most popular recipes on BarbecueBible.com. Here they are in all their smoky glory. 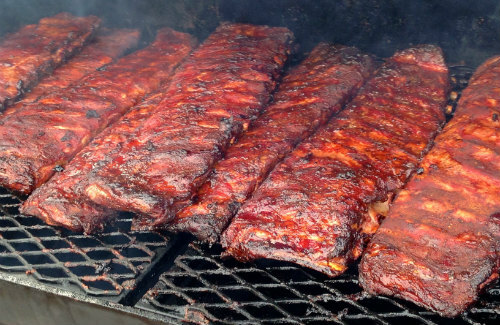 It’s clear that this barbecue community likes meat, meat, and more meat! Especially brisket, ribs, and—no surprise—bacon. 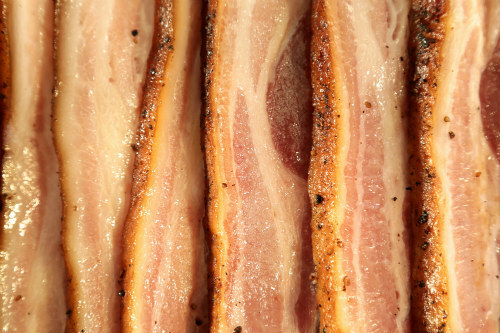 One vegetable made this list—the onion bomb—and even it has plenty of beefy, bacon-y goodness. What can I say, folks, but “Grill on!” And be sure to post photos of YOUR masterpieces on the Barbecue Board, my Facebook page, Twitter, and Instagram. 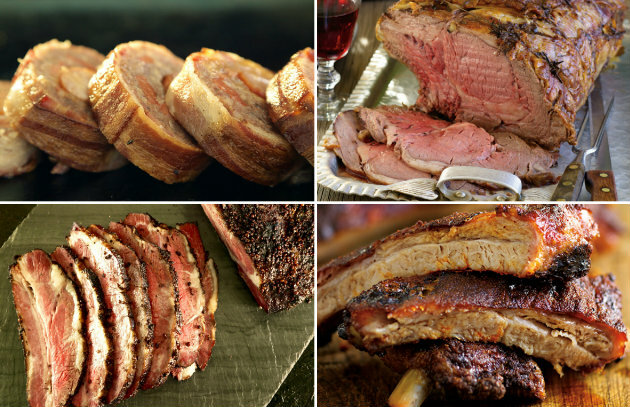 Grilled Prime Rib with Garlic & Rosemary: Prime rib is the ultimate show stopper and centerpiece for that special occasion feast. Blasted with garlic and rosemary, it’s a classic that belongs in your repertoire. 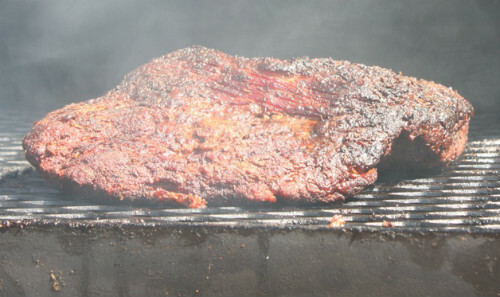 Hill Country Brisket with Coca-Cola Barbecue Sauce: If barbecue is a religion, this brisket is the Holy of Holies. You’ll see a strong Texas Hill Country influence in this recipe. Sauce optional. Memphis-Style Ribs: I’ve always liked Memphis-style ribs—crusted with a dry rub of paprika, black pepper, cayenne, and other spices—instead of the usual barbecue sauce. 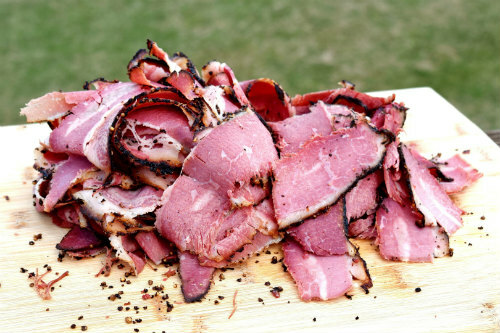 Smoke-Roasted Corned Beef: You’ll never boil corned beef again after tasting this home-cured, home-smoked version. It’s easier than you think. Slam Dunk Brisket: Patience, oak and apple wood, and an unlikely ingredient—dill pickle juice—help a whole packer brisket reach its highest calling. 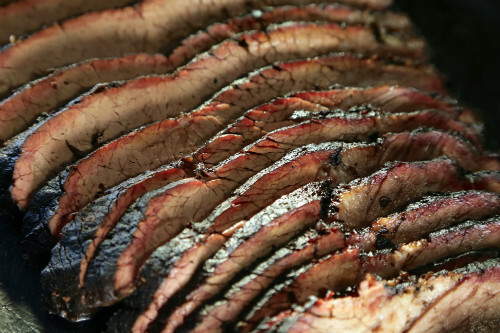 Here’s a step-by-step tutorial for brisket success. 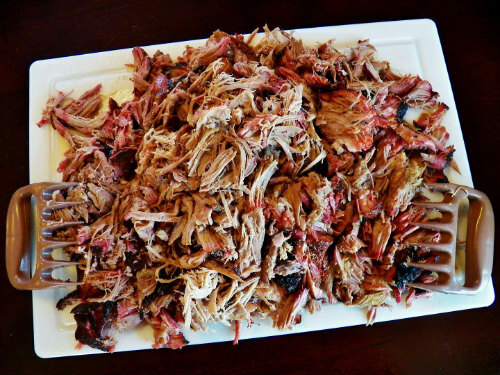 Pig Picker Pucker Sauce: North Carolinians (particularly in the northeastern part of the state) smoke pork shoulder until it’s fall-apart-tender (see link to the recipe below), then either pull it or chop it before serving it with a highly distinctive condiment: vinegar sauce. It’s spicy, piquant, and a perfect complement to the richness of pork shoulder. First-Timer’s Ribs: Not only is this recipe a reliable master plan for pork ribs, but it proves you can put delectable, smoke-kissed bones on the table in 2 hours or less. North Carolina Pulled Pork: Smoky as a fireplace, succulent as a biscuit dipped in bacon fat, and tender enough to pull apart with your fingers. Pulled pork shoulder is virtually fail-proof and a guaranteed crowd pleaser. 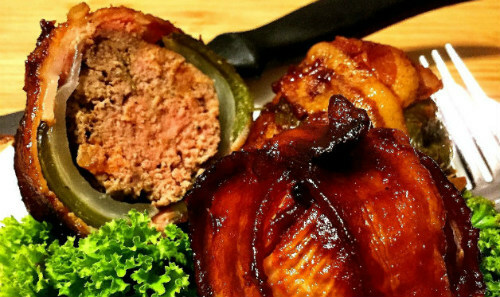 Tuscan Onion Bombs (Master Recipe and Variations): The onion bomb—orbs of ground meat encased in layers of onion and bacon—took the Internet by storm last year. 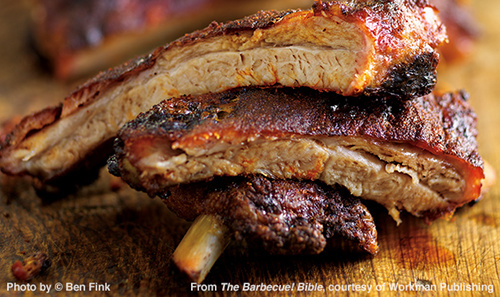 Here are 5 new twists on a new American barbecue classic. 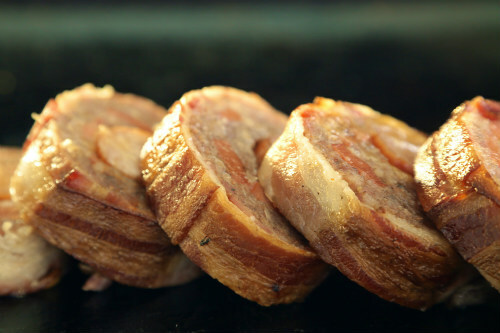 Made-from-Scratch Bacon: America’s obsession with bacon has morphed into a DIY movement that has more and more people curing and smoking bacon (starting with pork belly, of course) at home. The process is surprisingly easy, requiring very little hands-on work, but is gloriously rewarding. 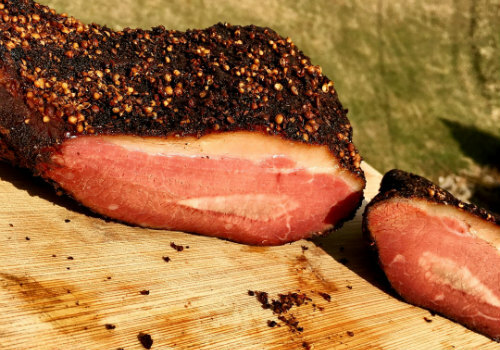 Home-Smoked Pastrami: If ever there was an incentive to make the leap from grilling to smoking, it’s pastrami. 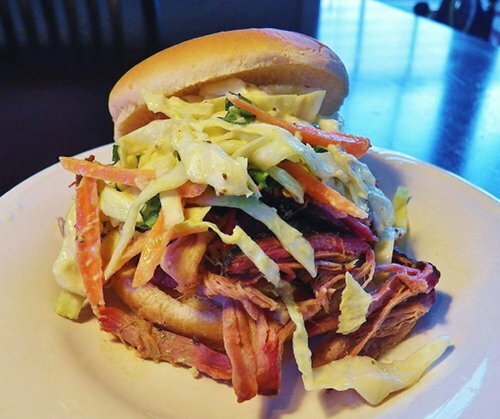 Whether made with beef brisket or the traditional beef navel, it’s escaped the custody of top landmark delis, and is making its way into American backyards. What are you waiting for?